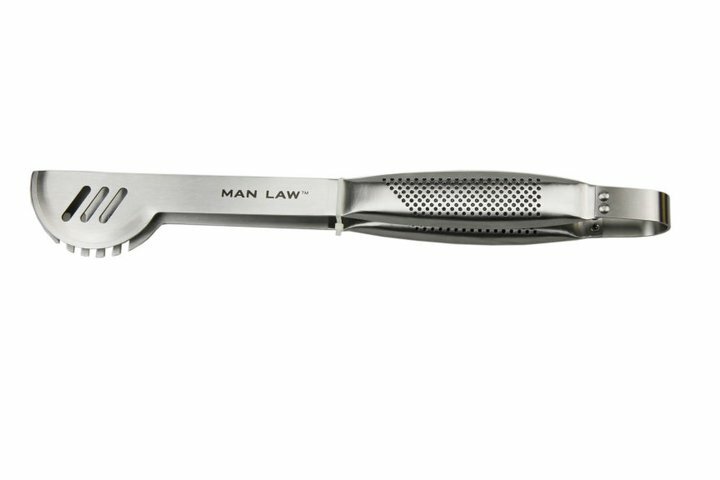 Man Law is the maker of premium (and very manly) grilling tools. 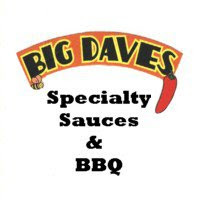 ﻿They offer a complete line of utensils, meat thermometers, and grilling / smoking gadgets. 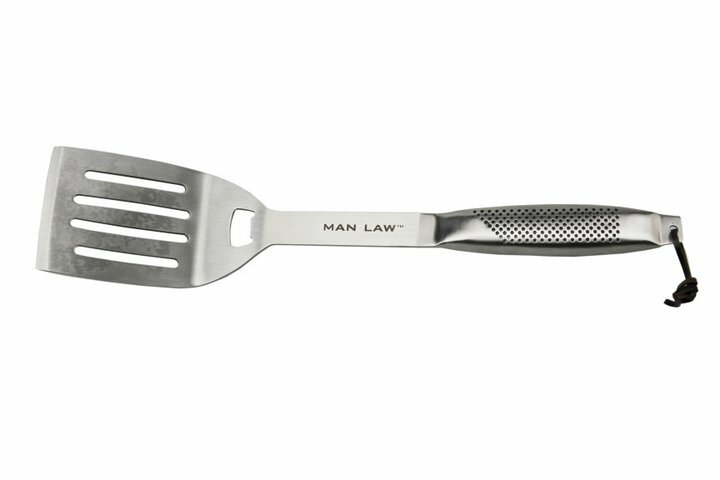 Most of Man Law's grilling tools are made from heavy duty stainless steel. I recently received their Heavy Duty Stainless Steel 3 pc set. The package contained a spatula, fork and tongs. The utensils feature extra long handles making them perfect for large grills. Though I typically prefer a wood or rubber handle, this set features a textured stainless steel grip that actually works quite well. Each of the tools is "heavy duty" in every sense of the phrase. They are thick and stout, but quite easy to handle. I highly recommend visiting the Man Law website. Not only does the site provide additional information about their entire product line, it also features several amusing "Man Laws". 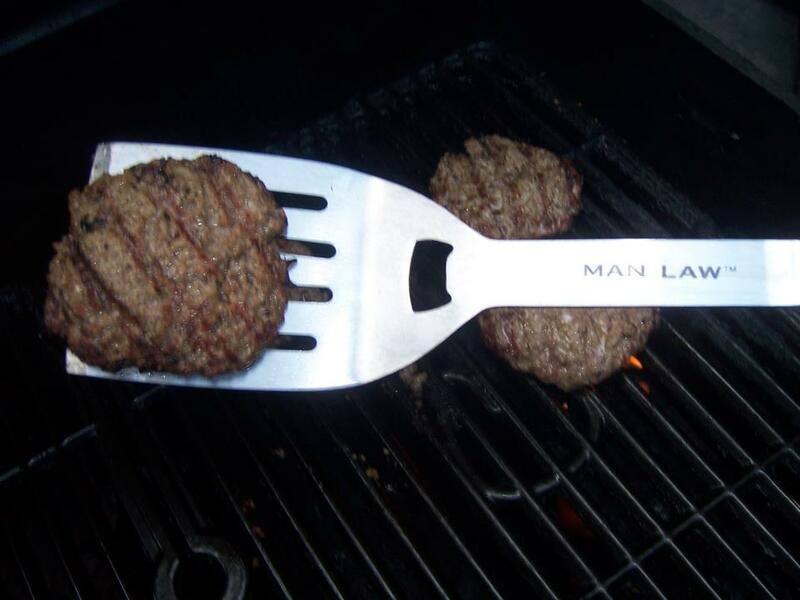 Man Law is a company that produces quality BBQ tools while maintaining an excellent sense of humor. Man Law #1 reads, "Grilling is ALWAYS the first choice of cooking." I couldn't agree more. Be sure to "Like" Man Law on Facebook and look for Man Law products at retailers like Home Depot, Linens & Things and Amazon.com. 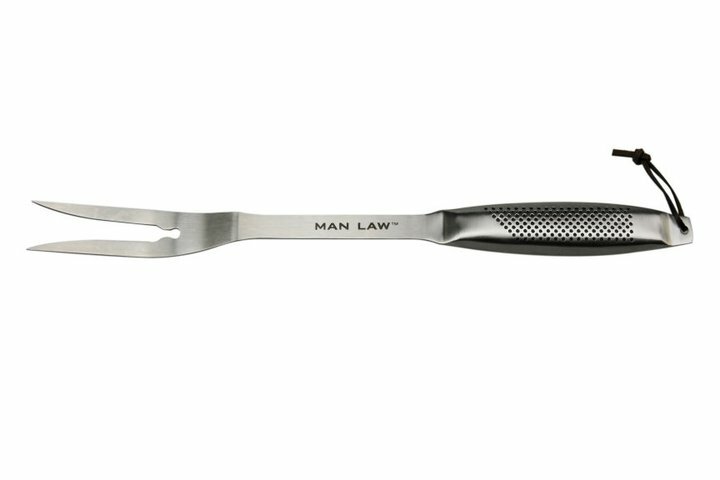 See how Man Law BBQ tools rate on the "Product Reviews" page. 11 Response to "Man Law Premium BBQ Tools"
nice too see the great BBQ tools, It is very hard to get the taste of grilled & BBQ food items on such occasions. So, to overcome such need people go for different and instant cooking BBQ tool set to make such grilling food. Yunnan Kitchen might additionally want to grill meats plenty quicker, the flavor became on-thing, and that i got greater tenderness and juiciness from my burgers and sausages. An appearing grill doesn’t should be costly but it needs to warm temperature up evenly and rapid which may be possibly the most critical matters a grill ought to nicely do.